Use code below for Early Bird Special & recEive 60% off! MAKE SURE THAT YOU LIKE US ON FACEBOOK, TWITTER, AND INSTAgram. EACH PERSON MUST SIGN LIABILITY WAIVER PRIOR TO ARRIVAL CLICK HERE! 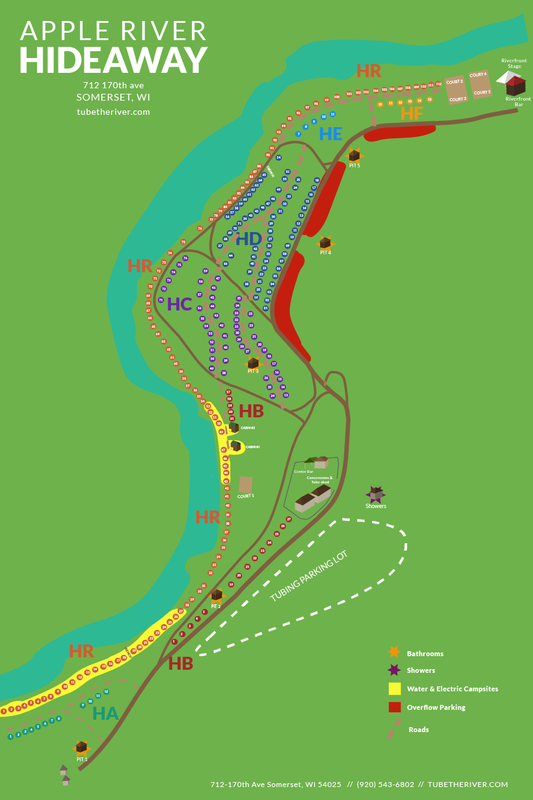 The HA sites are closest to the gatehouse as you enter the campground and go to the HF sites closest to the Riverfront Bar at the end of the campground. Sites with Water and Electric range from HR 1 to HR 28 and from HR 44 to HR 58. 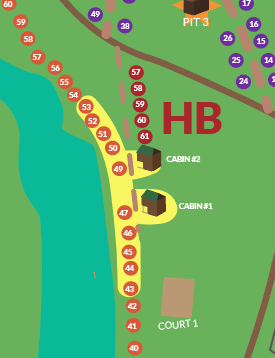 All Hideaway Campsites start with the Letter H (people always remember their campsite number) MAP BELOW. Interested IN Purchasing a camping and/or tubing Gift Card for someone? 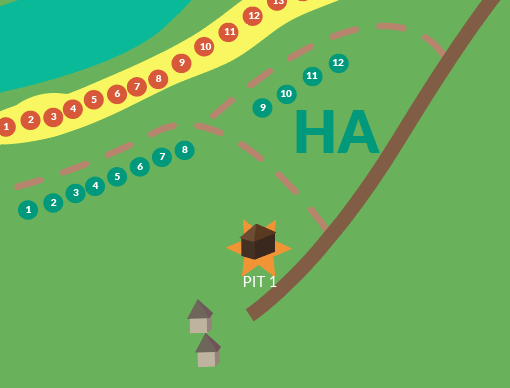 Use this map to pick your campsite! Zoomed in versions of each section is below as well as a link to download the map for yourself. If you don't chose a site when checking out, an available site in your selected camping section wil be applied at checkout. Book for 2 nights or more and receive 2 days of free tubing per person paid for in advance. $20 on listed event weekends. Book for 2 nights or more and get 2 Free Tubing Passes for Each Person. *Car passes and garbage deposits are charged at check in, cash only. The first person to check into each reservation will pay the garbage deposit for each campsite. **We charge a $30 cash deposit for each campsite to ensure that garbage is completely picked up, cans are recycled, firepits cleaned, and picnic tables returned to their original location. $20 gets returned when your site is in good standing when you leave, the other $10 goes towards garbage costs and recycling fees. By DNR rule, No outside firewood allowed. Anyone attempting to burn outside firewood will be asked to leave, we take the emerald ash borer threats very seriously.